You. Yes, you there. I know you’re guilty of it. I am too. 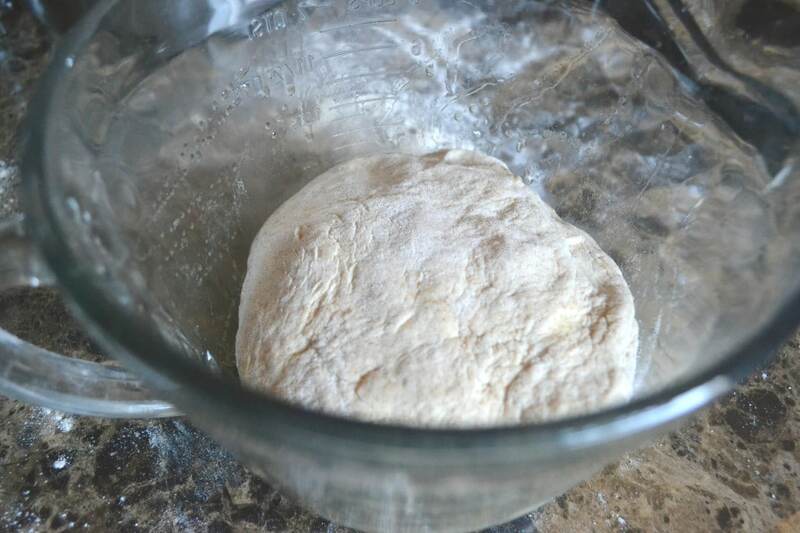 Yes, I’m talking about buying ready-made pizza dough. It’s really a crime how simple this stuff is to make. 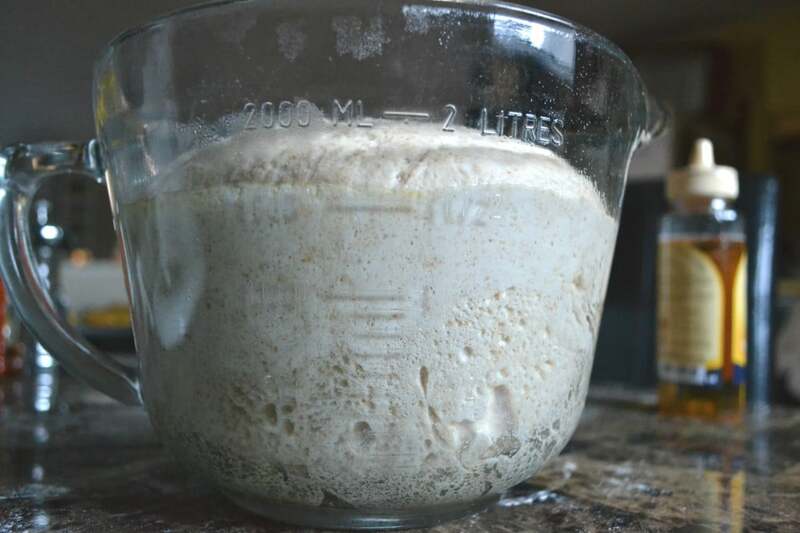 For the longest time, I’ve been daunted by the thought of making dough, especially anything involving yeast. It just seemed beyond my capacity as a home chef. But no more! 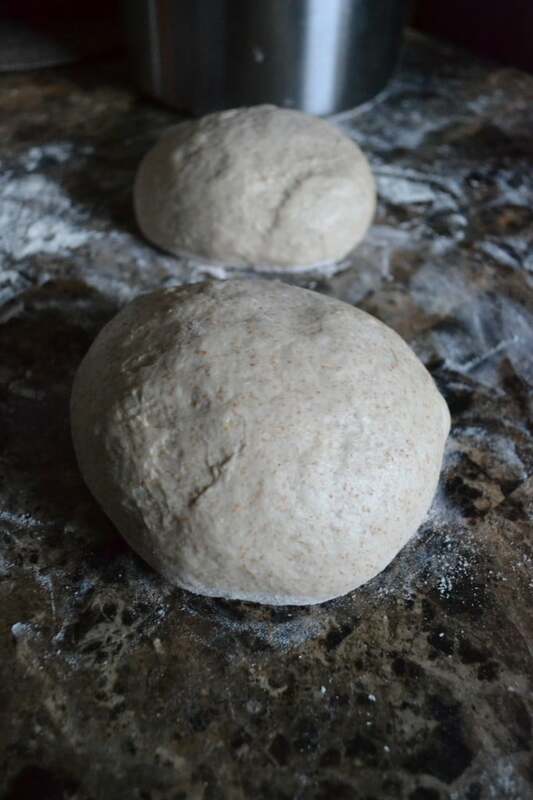 Liberate yourself, and have a go at making your own dough. I promise, you will never look back! 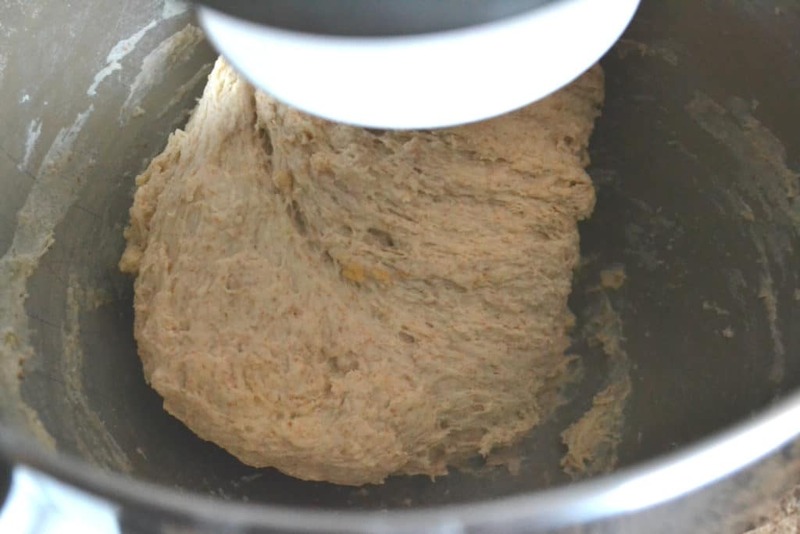 This dough also doesn’t require kneading, so it’s super easy to put together. 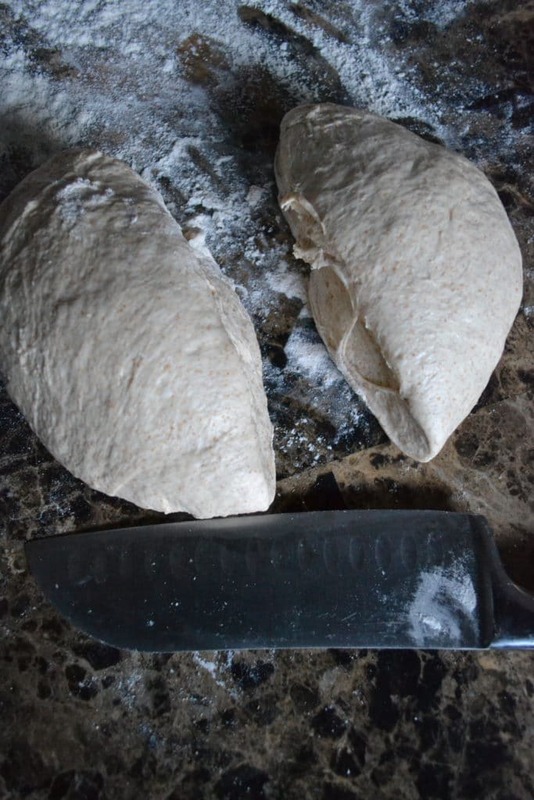 Use this dough to make my Margherita, Cajun BBQ Chicken, or Chorizo & Egg pizzas! 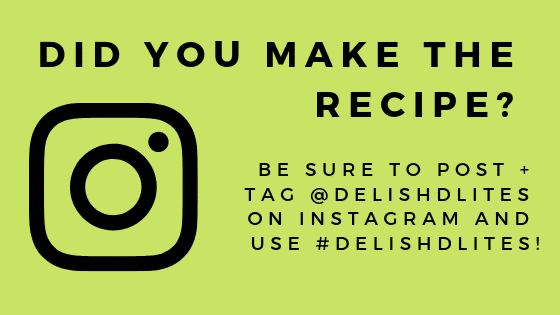 Fit a stand mixer with the dough hook. 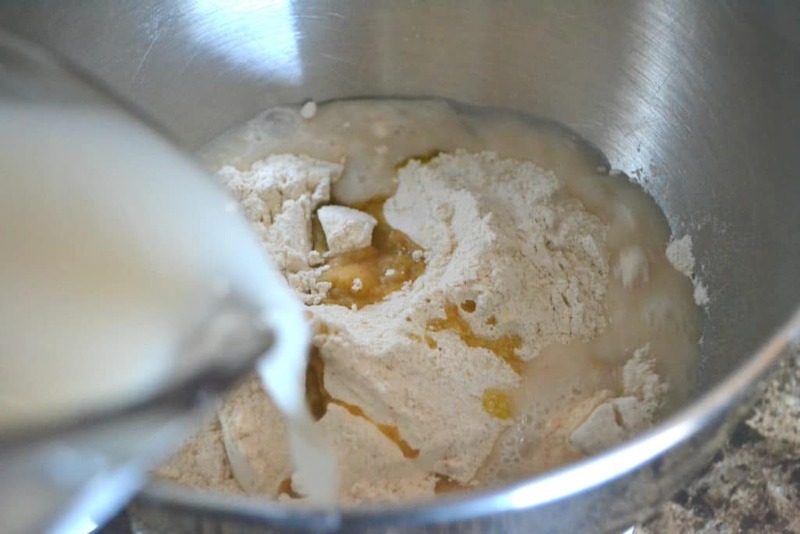 Combine the bread flour & kosher salt in the bowl of a stand mixer and combine. 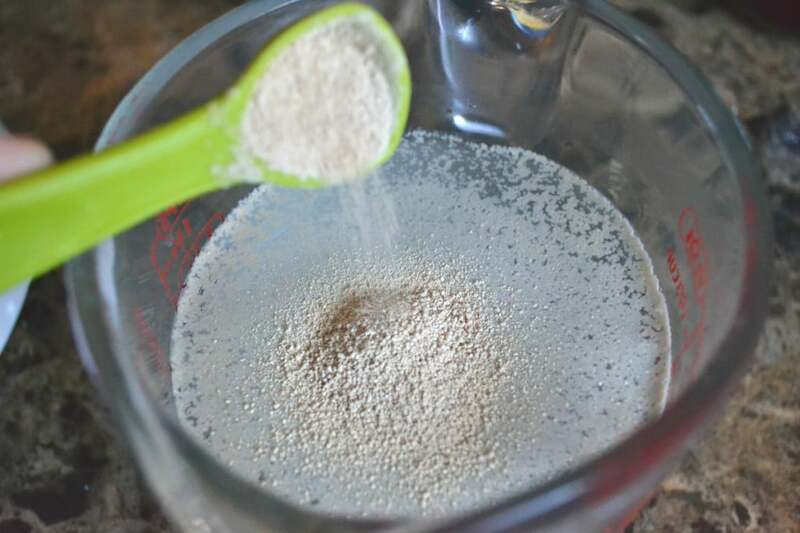 In a measuring cup, mix the water, yeast, sugar. 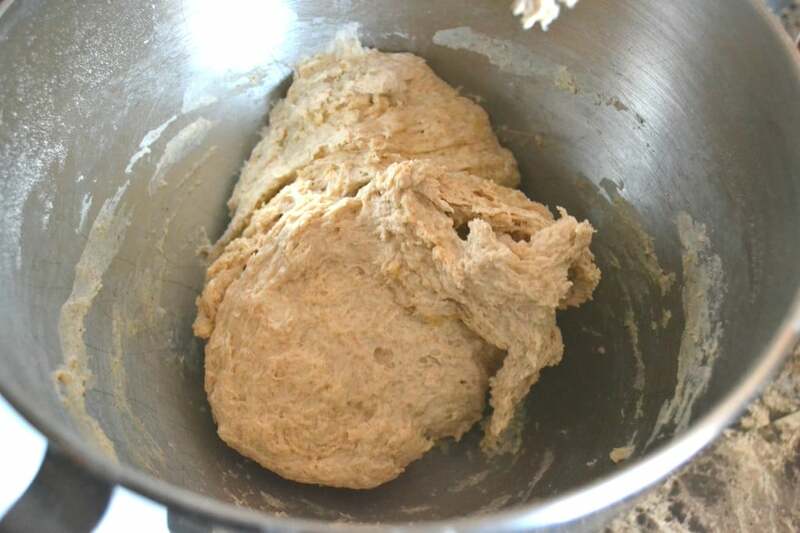 While the mixer is running, add the olive oil and water/yeast mixture and combine until the dough forms into a ball around the dough hook. The dough should be very sticky. If the dough is too dry, add additional water, 1 tablespoon at a time. 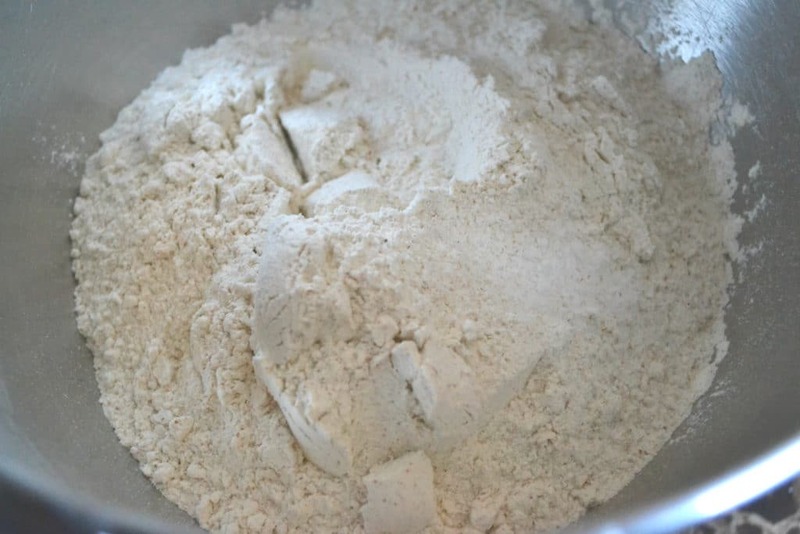 Turn the dough out onto a lightly floured surface and divide it into 2 equal pieces. Cover each with a clean kitchen towel or plastic wrap and let them rest for 10 minutes, or freeze for later use! In a measuring cup, mix the water, yeast, sugar and olive oil. While the mixer is running, add the water/yeast mixture and combine until the dough forms into a ball around the dough hook. 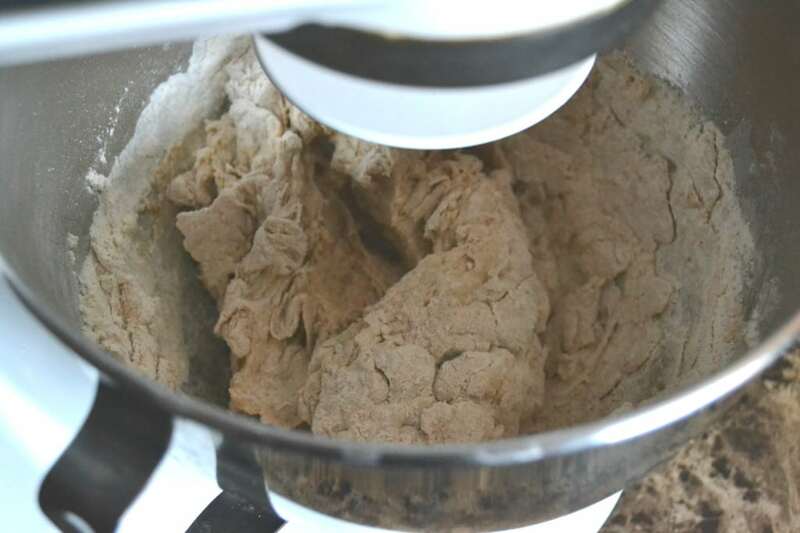 If the dough is too dry, add additional water, 1 tablespoon at a time. 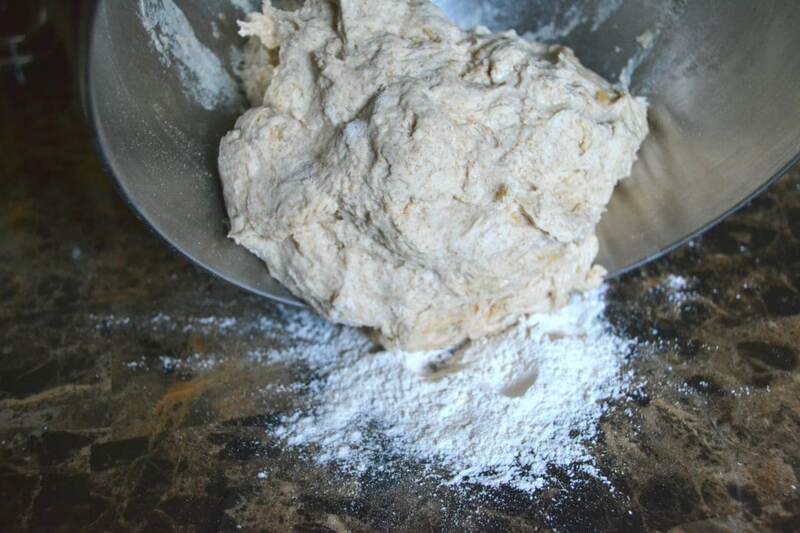 Turn the dough out onto a lightly floured surface and divide it into 2 equal pieces. Cover each with a clean kitchen towel or plastic wrap and let them rest for 10 minutes before rolling them out, or freeze for later use. This dough freezes great for later use, just wrap in plastic wrap and pop into a zip top bag. Thaw overnight in the fridge before use. 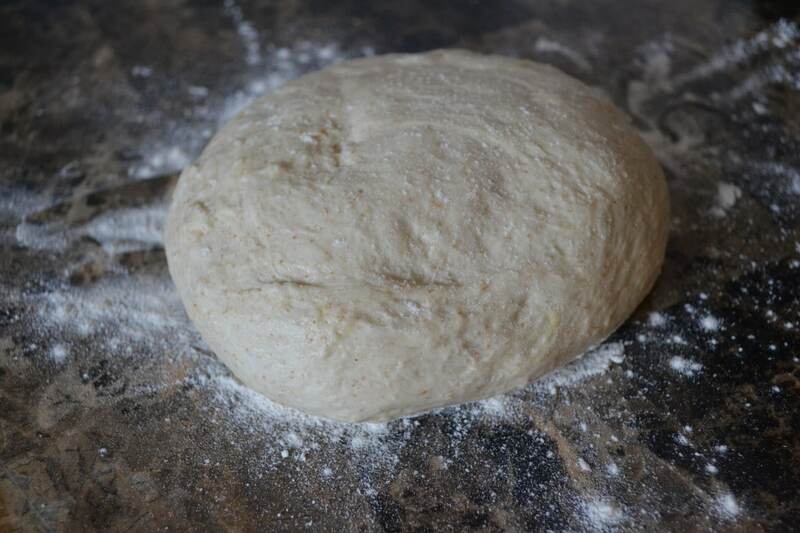 Hi Wanda, you can use my pizza dough in any recipe that calls for pizza dough. I usually bake my pizzas at 450F for 20 minutes or so. I was wondering when I freeze this and pull it out should I only thaw in refrigerator and do you need to let it rest covered after it thaws before rolling out and using/baking?Thanks! Hi Luwanna! 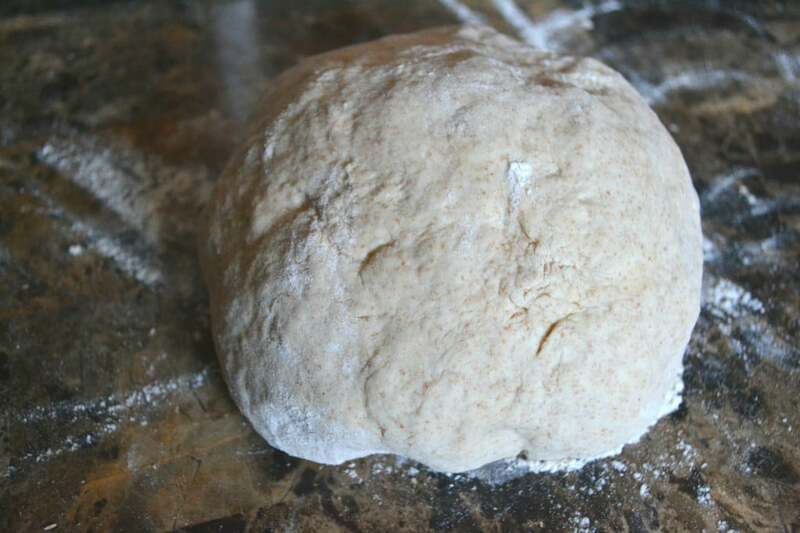 When you want to defrost the dough, do so in the fridge overnight. As soon as it’s defrosted, you can use it right away. However, if you want it to roll out more easily, let it come to room temp before using it. That’s optional, I only do that when I have the time to. Enjoy! Could you use gluten free flour too? I’m not sure, but it’s worth a shot! Thanks for sharing. This reads like a great recipe! You sure can! I’d recommend using white whole wheat flour if you can find it, you’ll get a better texture, but regular whole wheat will work too. You may need to add a little extra water. 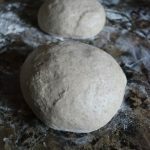 Easy Pizza Dough! We buy pizzas all too often and I hate the fat content, can’t wait to try this! Hello there, just became aware of your blog through Google, and found that it’s really informative. Im going to watch out for brussels. Ill be grateful if you continue this in future. Many people will be benefited from your writing. Cheers! Thank you! 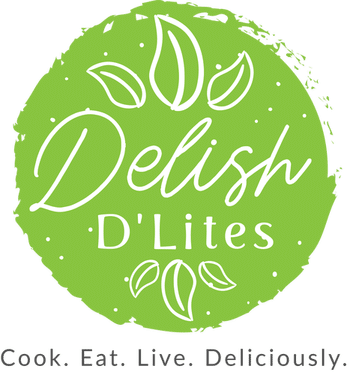 Keep on the lookout for new posts, I try to post weekly at the minimum. Cheers!